Combine Tom Cat, Campari, and Vermouth in a mixing glass filled with ice and stir. Strain into a chilled cocktail glass and add garnish. Prepared as an aperitif, a Negroni is the very definition of balance and simplicity. 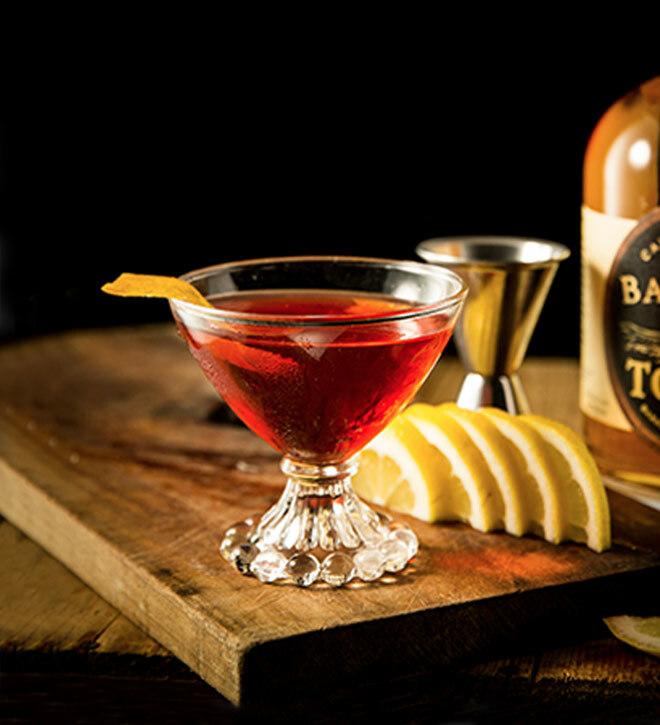 Typically a Negroni uses a classic gin, and a Boulvardier cocktail replaces gin with Bourbon. Tom Cat walks the line of being gin-bourbon so it works perfectly. Using Tom Cat Gin, adds a deep richness to the classic. In 1919 a famous Count by the name of Camillo Negroni, whom had spent some time traveling and drinking in the states, returned to his favorite bar in Florence, Italy and asked the bartender to make his favorite drink the ‘Americano’ but to make it more ‘robusto’ and sub out the soda water for gin. And now we have one of most famous drinks in the world, and a bartender’s favorite.